The legendary moose is definitely one of the tougher animals to track in Red Dead Redemption 2, and this guide will show you how to do just that. The legendary moose is one tricky animal to track down in Red Dead Redemption 2, no matter how skilled a hunter you are. In this Red Dead Redemption 2 legendary moose guide, we'll be detailing everything there is to know about the rare creature, that you can only find in one location on the entire map. If you instead need help with any other areas relating to hunting in Rockstar’s latest game, you’ll want to check out our Red Dead Redemption 2 hunting guide. On this page you can find a complete list of animals, essential tips and tricks, and much more. We've also got an overview page on how to get perfect pelts in Red Dead Redemption 2. 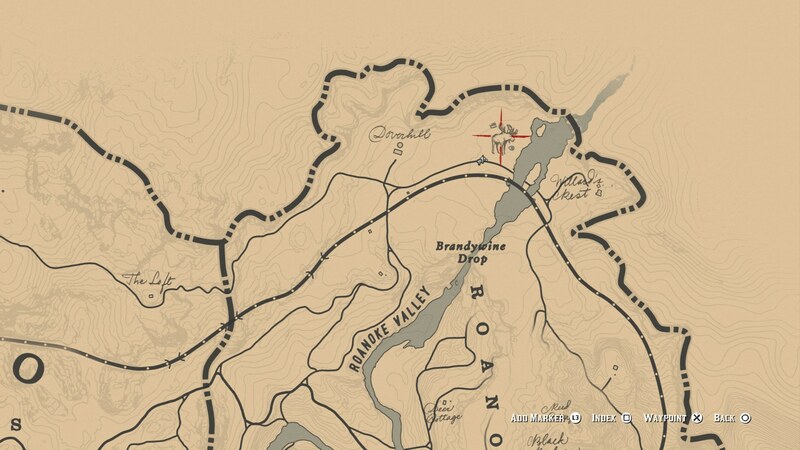 To locate the legendary moose in Red Dead Redemption 2, you’ll want to head to roughly the point marked on the map just below. This is in the far northeast of the entire map, well north of Annesburge and Roanoke Ridge. Once here, you’ll want to hunt for the moose just north of the train line, on the small island in the middle of the river. Head to the southern end, and use your ‘detective’ vision by pressing both the left and right analog sticks. Doing this will highlight clues relating to the legendary moose around the environment, giving you a white circle on the map in which the moose can be found. When you’ve tracked down the moose, use Dead Eye and place a quick few shots on the head of the creature, ensuring it goes down. You don’t have to worry about damaging the pelt of the legendary moose, as pelts from legendary creatures almost come at the highest quality possible, no matter the force or weapon you use to kill it. After the moose has been downed, skin it using your hunting knife, and hoist the pelt on the back of your horse. 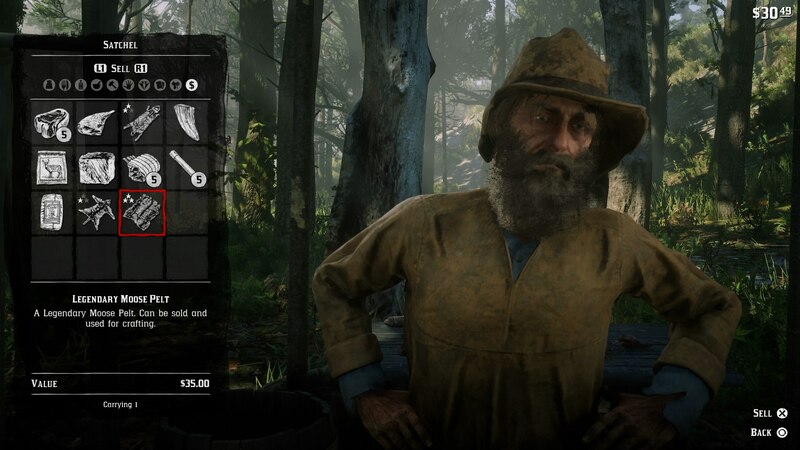 You’ll now want to travel to the Trapper on the map point just below, where you can sell the legendary moose pelt on for a tidy profit. Legendary Moose Hunting Jacket - Costs $24, Legendary Moose Pelt, plus a perfect wolf pelt - protects against the cold. Legendary Moose Moccasins - Costs $22, Legendary Moose Pelt, plus a perfect cow hide - good in hot weather. Now that we’re all done with this guide to hunting and obtaining the legendary moose pelt, head over to some of our other hunting guides. Check out our Red Dead Redemption 2 legendary bear pelt guide, or our Red Dead Redemption 2 legendary animal locations guide for more.